Modern magazine advertisements don’t seem to have the inventiveness and personality of those of previous decades. Maybe it’s because society has changed so much in the intervening years, or maybe advertisers just don’t put as much effort into amusing us as they did in the good old days. Whatever the reasons, these vintage magazine and comic book advertisements – compiled by Flickr user JBCurio – are endlessly entertaining. 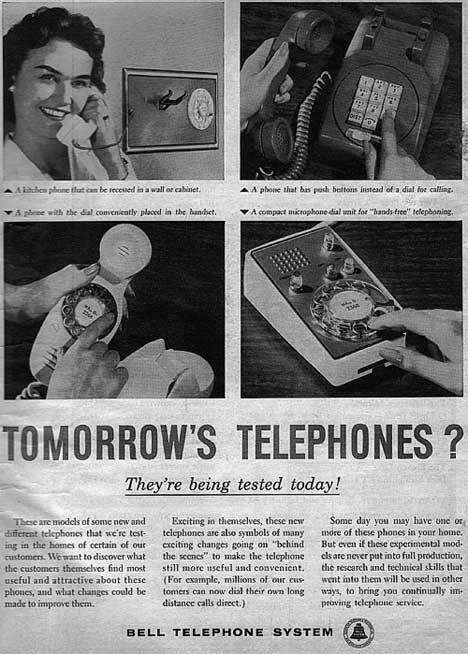 In 1959, push-button telephones and direct-dialing (without an operator) were things of the future. These futuristic phone designs were little more than concepts at the time of this ad, but at least one of them became a household staple for many decades to come. Though they might be best known for the ultimate classic gaming console, Atari also delved into the personal computer market in the 80s and 90s. There were different models for computing and gaming, but all of them eventually tanked. Remember the days of strapping a bulky cassette player to your belt, strapping on some headphones and strutting around like you were cool? Even before the skip-prone Discman, the Walkman and other portable cassette players were letting music lovers take their beats on the road – as long as they had plenty of extra batteries. 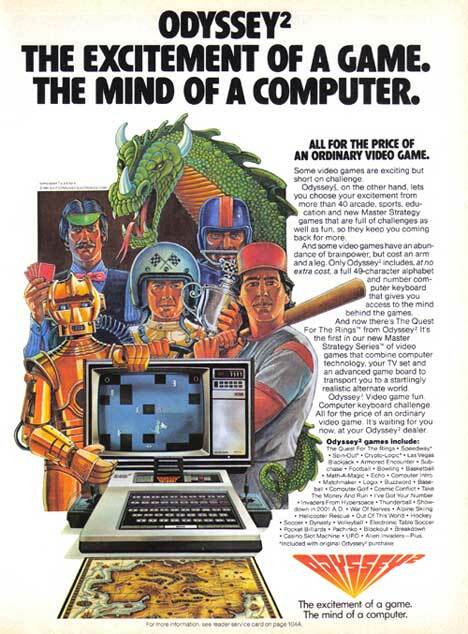 After its release in 1978, the OddyseyÂ² became a moderately popular video game machine in the U.S., Europe, Japan and Brazil. 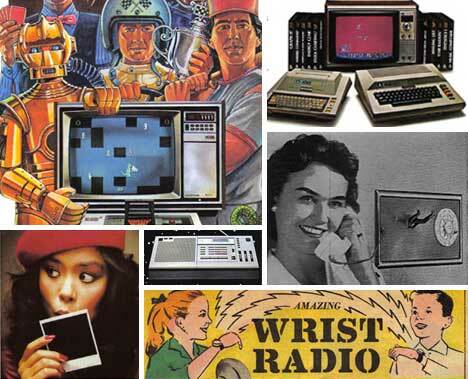 It was marketed as having the best voice synthesization technology ever, but it just couldn’t out-perform the Atari and Intellivision, its biggest competitors. 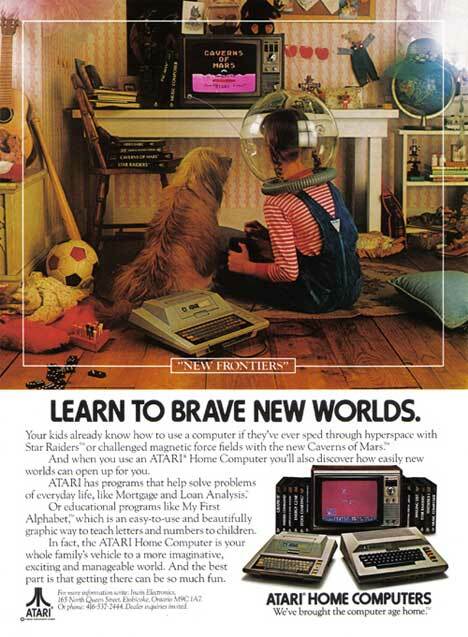 We have to admit that this ad sort of makes us miss the clunky graphics and stilted gameplay of the 80s. 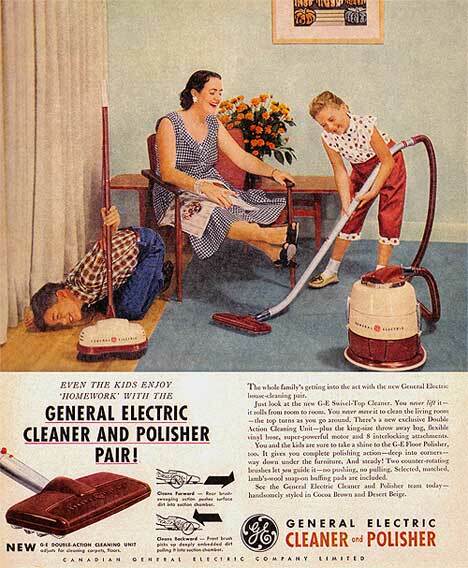 Maybe 1957 was a whole different time and kids behaved in a way completely opposite to the way they behave today…but we can’t imagine children ever voluntarily vacuuming or waxing the floors while Mom lounges around. Don’t you hate projectors that only project? 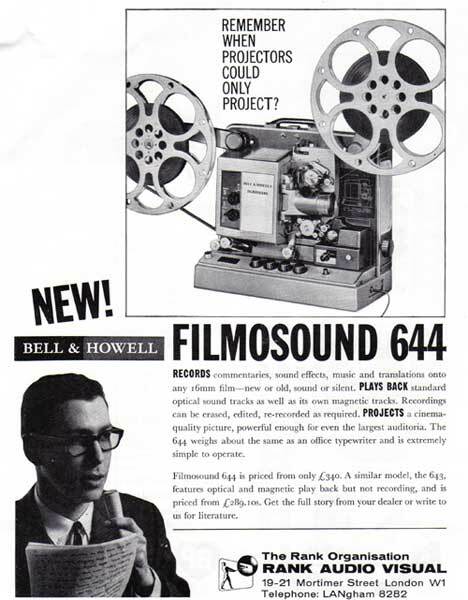 This 1963 ad was for an innovative projector that also let you record your own sound track and effects – all while wearing stylish plastic-framed glasses. In 1981, Maxell cassette tapes were supposed to be super-tough and hard to destroy. Of course, anyone who ever played a cassette tape knew how truly simple they were to destroy. 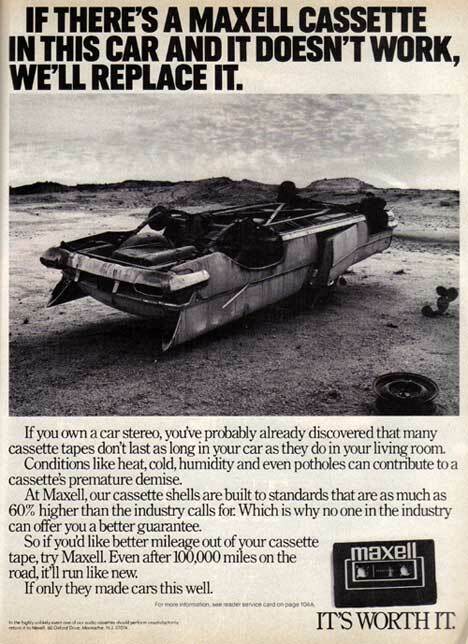 But Maxell wanted its public to know that, in the event of a roll-over car accident, after little issues like hospital treatment and car insurance claims were handled, they’d replace your no-longer-working homemade CCR compilation mix-tape. 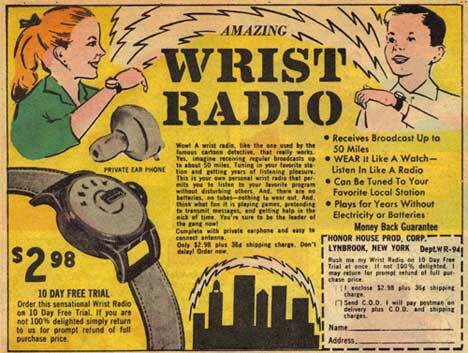 The infamous wrist radio ad appeared in just about every comic book for many years. For a mere $2.98, you too could own a low-powered radio that was almost impossible to understand even in the quietest room. Good times. 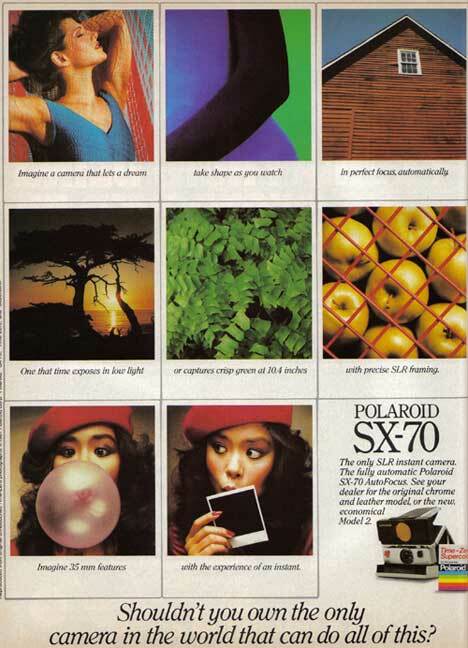 Was there really a time when Polaroid instant cameras were considered high quality? 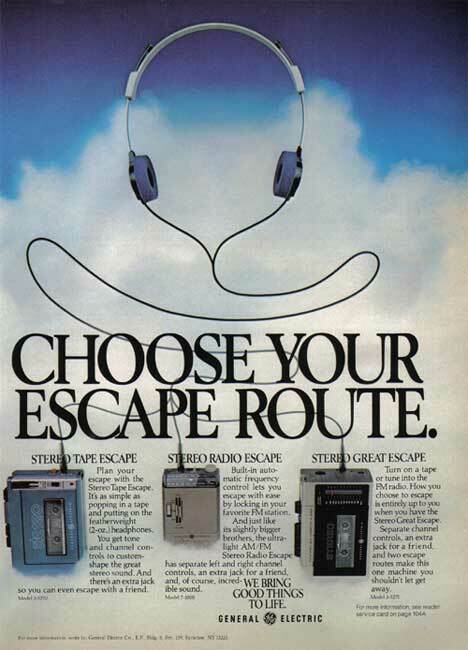 This ad from 1981 suggests that the company certainly hadÂ a high opinion of its products, even when the rest of us weren’t so convinced. Long before satellite radio took over, shortwave – or world band – radio was a semi-popular pursuit. In fact, short wave is still going strong in many parts of the world. 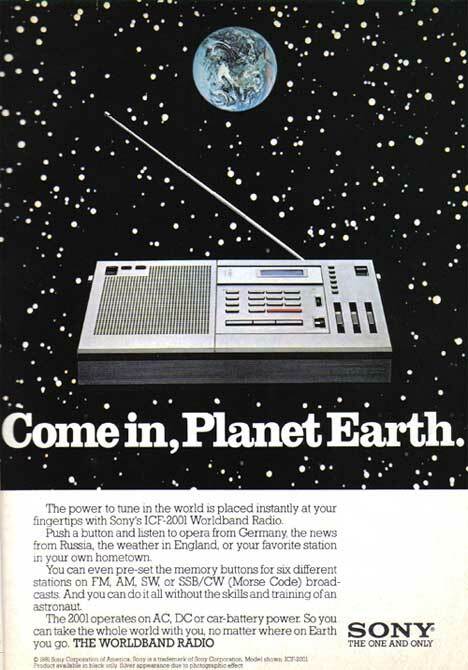 But in this 1981 ad, it looked fairly certain that world band radios were the wave of the future for global communication. See more in Aged Adverts or under Vintage & Retro. May, 2010.